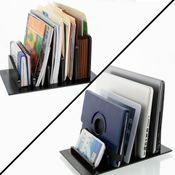 FILE FOLDERS AND BINDER ORGANIZER: Say no to clutter with a compact, innovative space saving design with detachable separators which accommodates bulkier items, even netbooks and file binders. The Prosumer’s Choice storage rack and desktop organizer is the ideal accessory for your home or office that can charge and store your devices or keep household items organized in one manageable location. A sturdy bamboo design means it can hold multiple file folders, textbooks, cook books, binders, notepads, multimedia DVDs and lp vinyl records in addition to your devices. 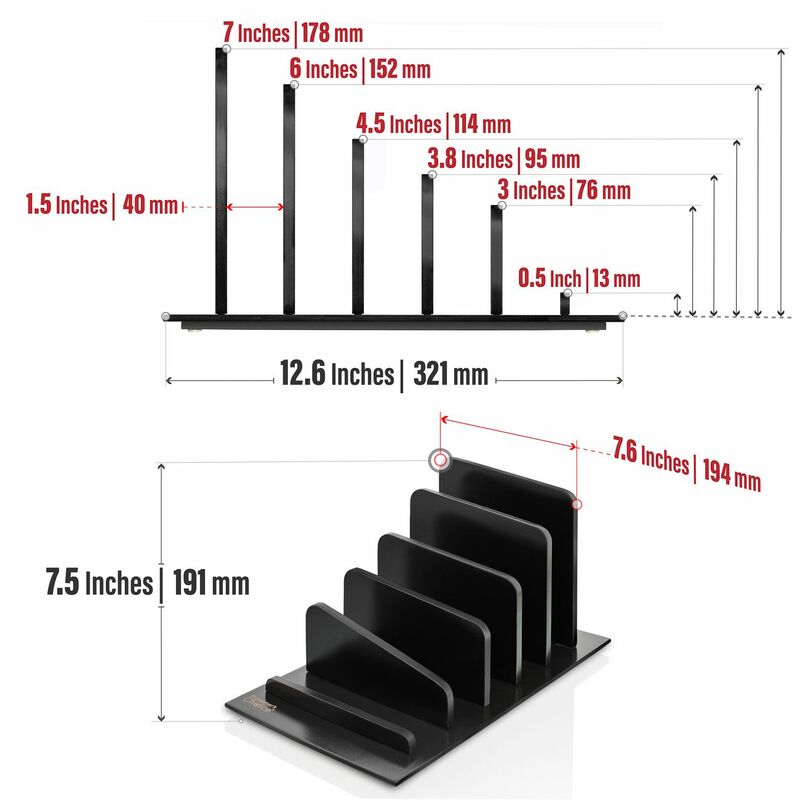 Your portable tablet stand works great on any desk, personal workspace, office cubicle, corporate mailroom, dorm room, home office, family room or kitchen counter. 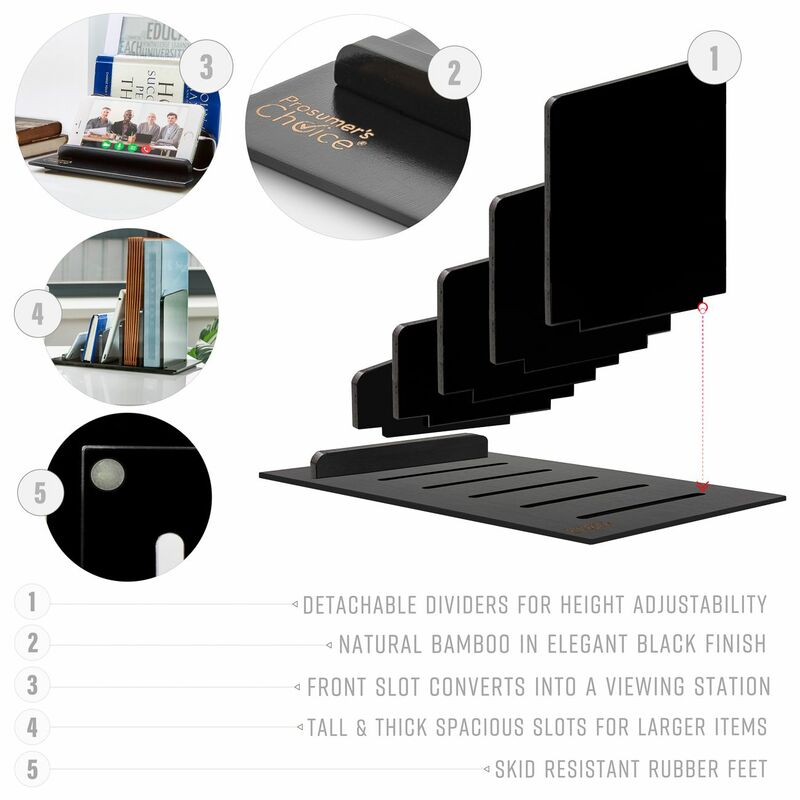 With a sleek black finish and lightweight design, this desktop organizer offers an elegant and functional solution for keeping devices and desktop items organized. Spacious compartments provide plenty of room for protective cases, phones, books or folders and also supports most tablet models. 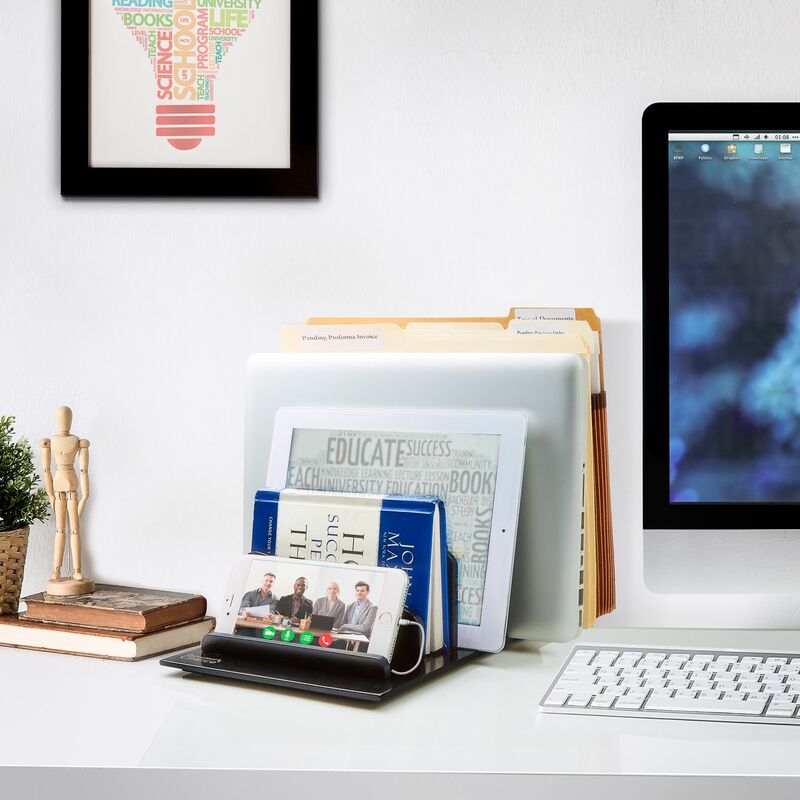 Dock up your devices and keep them organized and safe from spills while enhancing a neat and clutter-free space for your desktop. 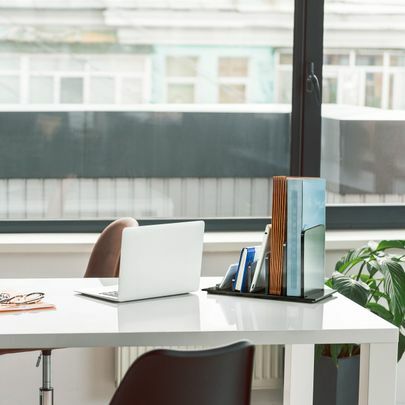 Whether you’re a busy executive at office or a freelancer at home, the sturdy docking station designed with taller interlocking walls to hold your laptop in a vertical, upright position will save you desk space while preventing your devices from falling. 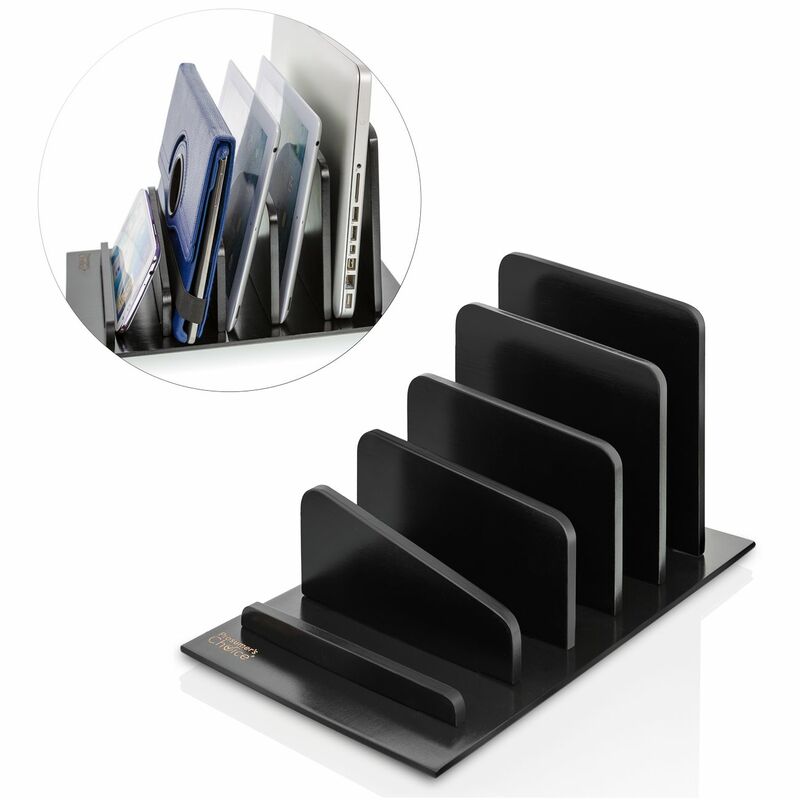 Your Prosumer’s Choice desktop organizer keeps essential files and documents organized and within easy reach. 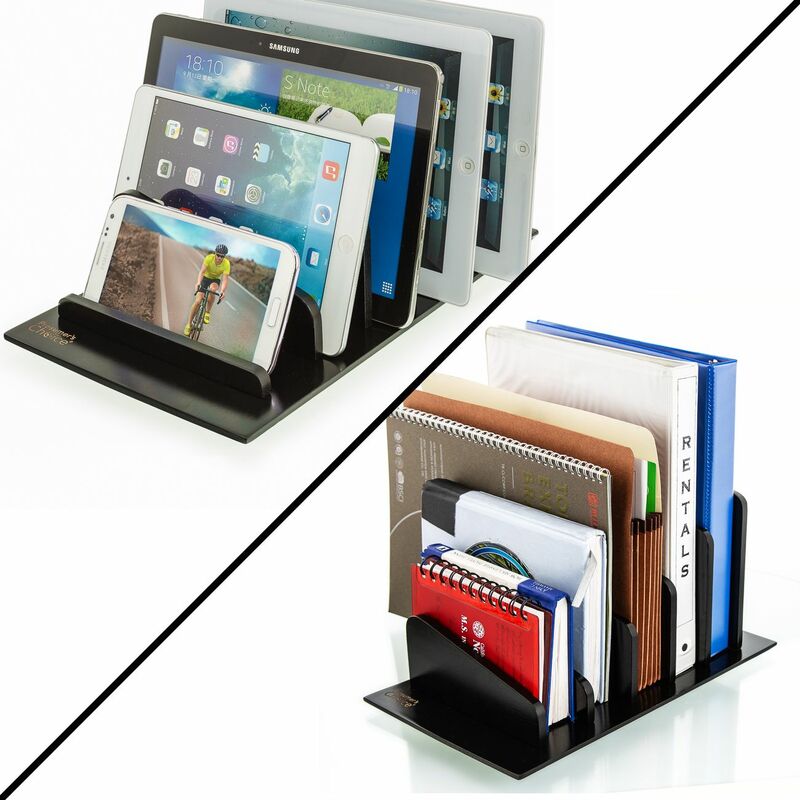 Removable dividers allow you to customize the storage slots, with plenty of space between dividers for devices with protective cases. 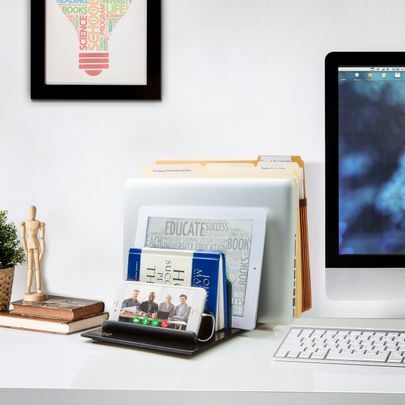 This sturdy 5-slot bamboo desktop station organizes your workspace and includes anti-slip rubber feet to keep the unit in place. 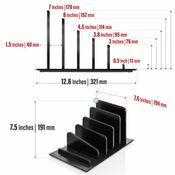 Made of genuine and responsibly harvested bamboo, this organizing rack is ideal for multi-device households and offices.